Yahoo has filed a lawsuit against Facebook claiming that the company is infringing on 10 of its patents covering advertising, privacy controls, social networking, among other things. The timing is no coincidence, of course. The move comes shortly after Facebook announced plans for a record IPO that could value the company at about $100 billion. Facebook probably won't want a spotlight on their vulnerabilities as they go public and with plenty of cash at stake it may be more willing to cut a deal. In a statement to Reuters, Facebook spokesman Jonathan Thaw said they learned of the lawsuit simultaneously with the media, adding that the social networking giant is "disappointed that Yahoo, a longtime business partner of Facebook and a company that has substantially benefited from its association with Facebook, has decided to resort to litigation." Yahoo's new CEO, Scott Thompson, is reportedly the one driving the aggressive use of the company's patent portfolio. 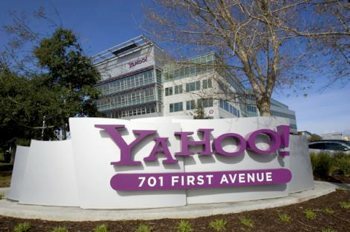 Many of Yahoo's long time tech staff reportedly opposed it, but while the move may cast the embattled company as desperate, its not the first time they've used litigation as a well-timed strategy. In August 2004, less than two weeks before Google went public, Yahoo settled a patent dispute with the search giant over pay-per-click and bidding systems that give sites higher placement in Web results. Google agreed to give Yahoo 2.7 million shares of its stock and took a $201 million non-cash charge related to the transaction. VentureBeat has broken out the 10 patents at issue in the lawsuit, along with their interpratation in plain english. Yahoo has not said whether it will bring these patent claims against other social networking companies.